Welcome to 1818 Church - Midtown Nashvilleís hottest new address. 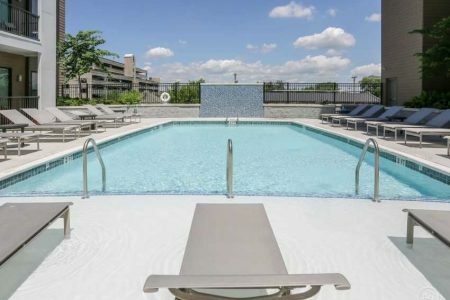 Just minutes away from downtown Nashville, youíll be the envy of your friends, family and co-workers. Youíve got experience when it comes to living in luxury - and this time, itís beyond compare. Your first-rate amenities are unparalleled by any other, and youíve got room to show it all off. Enjoy a spacious living area, with a sleek, urban designed kitchen. Impress your guests with an extended saltwater pool deck with outdoor TVs. Entertain your friends with a few games of billiards in the club room, or get your sweat on in our state-of-the-art fitness center. All of this and so much more is almost yours. The excitement is building - you can feel it on the very tips of your fingers.